When buying a shed many people often ask what flooring options are available with the sheds. Most professionals will recommend you lay a concrete slab to build your garden shed on however, it’s not always an option. For example, if you are renting or don’t have enough access to your property for a mixer truck. Luckily there are other flooring options for the base of your garden shed. A very popular option that is available with most of our Cheap Sheds models and our YardSaver models is the Steel floor kit. These steel flooring kits offer an attractive option to customers who are looking for a solution that elevates their shed off the ground, however, is not as permanent as a concrete slab. We even have a step-by-step ‘how to’ video on assembling the kit that you are welcomed to check out to see for yourself how easy they are constructed. The second option available to you is Timber floor kits. You can find an easy design online as all you need is a base and floorboards. However, be sure to take the shed rebate into account which is usually in your manual. If you are looking at buying a timber floor it, we have a few sheds which offer them. Absco Steel Sheds and Stilla Timber Sheds. 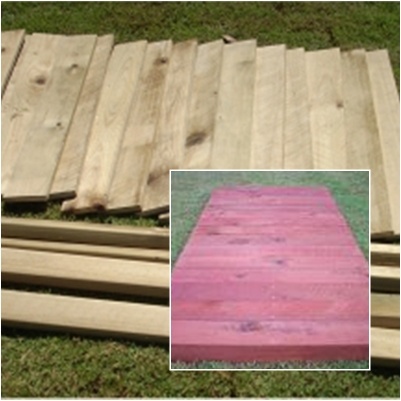 Absco timber floor kits are available with Absco sheds and made out of good quality timber. It is considered to be the environmentally friendly option because it is made from 100% Australian renewable plantation grown timber. A single pack contains pre-cut and pre-measured timber floor suitable for a shed measuring 1520mm x 780mm. Stilla timber sheds are not complete without a matching timber floor kit. As an alternative, if you have a very uneven surface to build your shed on, you can opt for a Heavy Duty Floor Kit. These provide you a base and frame to use to level your shed before adding a floor and the shed. And that’s it for your alternative foundation options! If you have any questions please don’t hesitate to leave a comment or call our team. 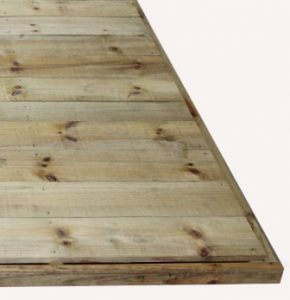 What Size Garden Shed Slab Do I Need To Lay? What’s The Difference Between An Anchor Kit And Peg? Krisztian is the co-founder and Managing Director of Cheap Sheds Pty Ltd and Cheap Sheds New Zealand Limited. Need timber floor for 2260X1520 garden shed. Please let me know the price. Hello there, you’ll require 3 sets of flooring kits for that size for the total price of $267. Please call us on 1300 920 219 if you wish to order them. Hi, We are purchasing a shed in the next week and we have a slab that is about 4metres by 4.5 metres. We are thinking of a 4 x 4 shed so could you recommend the flooring for it? Also, the slab is a little bit uneven with a crack in it. Will we be able to even this up somehow with the flooring and be able to completely water proof it at the base? Hi Brett, we don’t have a 4x4m shed however for the flooring kit options, depending on the model you would get, you can get either the steel frame or the timber flooring kit to waterproof the base of your shed. With these options, the shed sits on top of the assembled flooring kit. I hope this helps and feel free to let us know if you have any questions. Thank you. Could you tell me how you would suggest levelling the floor if the slab was a bit sloping or dipping in spots? Also, do you have a shed that is reasonably close to those dimensions? I’ll get you more information to your email shortly. I’ll do a bit of research here so I can provide you with an accurate advise. Talk to you later. Has a slight slope. I live in Mackay Qld and will need to secure to ground due to cyclone area. Would appreciate cost ,delivery and advise to secure to ground. Thank you for your message. You will need to level the area and put a slab down. You will need to purchase a cyclone kit to go with the shed. The cyclone kit includes anchor bolts which are used to secure the shed to the slab. Will send you a quote to your email shortly. Thank you for contacting us back. We’ve sent you an email with attachment of engineer’s plan to better help you on slab details and information. Hope this is of help to you Wayne. Hi thinking of a steel flooring-kit. What sits between the kit and the ground? Does the kit still need to be anchored to the ground in some way or is the kit itself enough to keep the shed from blowing away? Hi I have a storage cage in my basement car park that I would like to put a floor in as the car park gets hosed out regularly and I don’t want my stuff getting wet. It is 2.6 metres long by .87 wide. Have you any suggestions and if so what would be the costs be please. Thank you for our enquiry. We appreciate it. However, our flooring kits are all pre designed to work only with our shed models which are from Absco, Spanbilt, and Durabuilt. We don’t do custom flooring kits as of the moment. We have a garden shed 3x3x2 Pinacle Brand that we need to to install with a flooring timber. Can you please give a quote as to how much would that cost for a flooring kit from you? Can you please also include delivery? 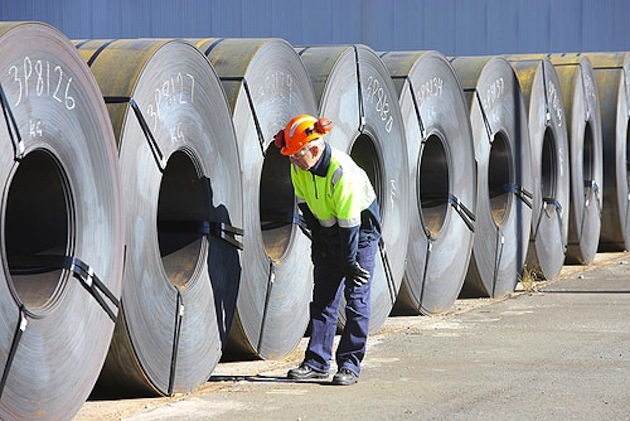 Do you have a store or wharehouse in Southside Brisbane? I have a shed 3m x 10m already installed on compacted sand. Need to put a base so I can install shelving system. What do you recommend please. Thank you for your inquiry. We recommend a custom timber floor from your local tradies. I hope that helps. Please let us know if you have any other questions. Hello I have just purchased a 3by 3 garden shed and I would need a flooring. I would like to know the cost for the two options of flooring . Thank you for your inquiry. What type of shed do you have? Our flooring kits are available for Spanbilt or Absco made sheds and it’s designed to fit a certain shed. As of the moment we don’t have the timber floor from Stilla anymore. We recommend a custom timber floor from your local tradies. I hope that helps. Please let us know if you have any other questions. Hi, I need a steel flooring kit to suit an existing 3000 x 1520 garden shed. Please provide price and availability. Hi, I noticed that the Absco sheds have a size option 2.26 x 0.78 but their timber flooring options don’t seem to accommodate these dimensions. Any advice? Timber Flooring Kit (2) to substitute concrete slab. Made from 100% Australian renewable plantation grown timber. Comes with 10 Years Warranty. It’s for $314. However, we don’t have a flooring options for our bike sheds that are 2.26m x 0.78m. Hope that helps, please let us know if you have any other questions.